Once Billy Fox starts looking for trouble, he discovers that—in Chicago—trouble's under every footstep. Home from the war, Billy Fox leaves Michigan for Chicago, hoping to find his ex-girlfriend, Rita—now another man’s wife. Chicago isn’t a town that takes kindly to strangers, and Billy finds himself barely scraping by, working odd jobs and living in squalor among convicts and other men that the city hasn’t spit out just yet. A chance encounter lands him a job with Harry Strummer, the streetwise owner of the Peerless Detective Agency. At Harry's oddball agency, Billy hones his skills, learning how to stake out a mark, find a bug, and spot a tail. Odd life lessons and unexpected romance come his way. But as he searches for Rita, an even bigger mystery comes along, one that puts Harry, and Billy with him, in the crosshairs. This punchy, spellbinding noir spins a web that will catch readers and hold them captive to the final page, when we learn that Billy’s Chicago is a town where nothing is ever truly left up to chance. 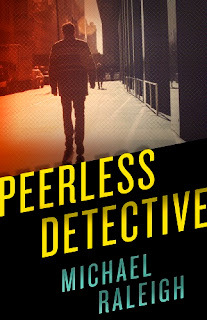 Michael Raleigh is the author of five mysteries set in Chicago and featuring detective Paul Whelan, as well as three other novels. 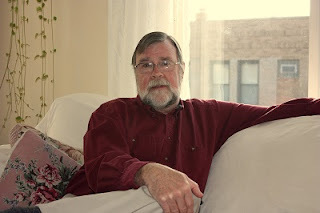 He is Professor Emeritus of the City Colleges, where he taught Composition, Literature, and Chicago History. He currently teaches in the First Year Writing and Honors Programs at DePaul University. His novel THE RIVERVIEW MURDERS won the Eugene Izzi Award for best crime novel by a Chicago Writer, and he has been the recipient of four Illinois Arts Council awards for fiction. He is married with three children, and lives not far from the setting of the five Paul Whelan novels. Thanks so much for introducing us to this author and featuring his latest mystery novel. Looks like an interesting read!